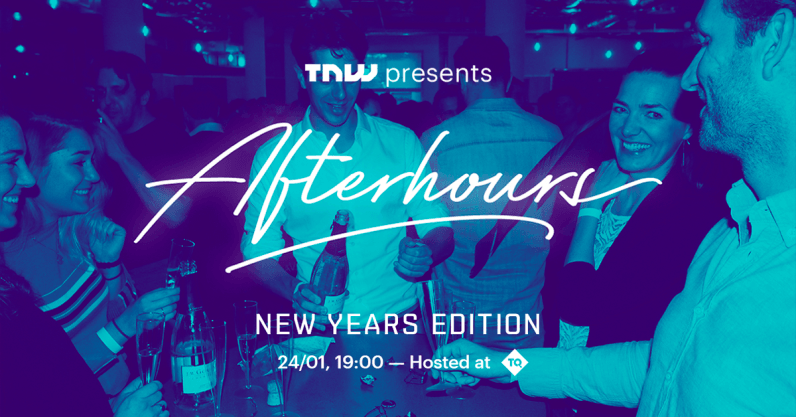 Here at TNW, it’s become a tradition for us to throw a party to celebrate the new year. We drink great cocktails, dance, and mingle with people who love tech. If you’re reading this, you probably fall under that category – that’s why we’re inviting you to celebrate with us on January 24, 2019 at our headquarters in Amsterdam. In essence: we’re throwing a house party! TQ is where we call home, along with over 50 startups and 700 people. For this New Year Edition of Afterhours, we’re inviting some of the coolest startups to make their own cocktails for you. Come sample the boozy concoctions of Kinder, pr.co, Sitly, and more. We’ll also be pouring our own, called Boris in a White Suit (our co-founder tends to only wear white clothes – it’s the perfect mix of charming and peculiar, just like our cocktail). We’re almost at capacity, so if you want to join, make sure to RSVP right away! Doors open at 7pm. See you soon?